Today, we sat in Lilles with Thomas Di Polito, a talented graphic designer and freelancer on Unilance. Thomas gave us some great tips about what makes a website looks great. Hello, my name is Thomas Polito, I’m 21 years old graphic design student at e-artsup. I am a freelance graphic designer, working between Lille and Paris. I have always been passionate about art, design as well as technology and digital since my childhood. I have learned computer-assisted production (DTP) through tutorials on youtube and design via blogs. At the end of my studies, I would like to become a digital art director. 2) Why did you decide to become a graphic designer? 3) Why did you get into freelancing? and show us your best work ! I think my best freelance project was the creation of an album cover for a Canadian Heavy Metal band called « Ariseon ». I love heavy metal and being able to work on such a project was an honor for me. 4) Tell us about the missions you have accomplished on Unilance so far! 5) What makes a good website design according to you? To me, a good webdesign is an aesthetic website and a well organised user journey. In other words, the goal is to capture the attention of the visitor as soon as he arrives on the website, to interest him and to make sure that the visitor can easily navigate on the website without drowning with information. Web Development technologies are advancing at a high speed, making it possible to make webdesigns more and more beautiful, easy and detailed. These technologies are in constant evolution, a webdesigner must always keep an eye on new technologies. Standards are changing and we must not hesitate to innovate. Gamificaiton (the use of game mechanics) is more and more present, as well as animations and effects like the parallax effect that is very present this year. Not to mention that a website in 2017 must be thought to be responsive or declining on mobile and tablet. Otherwise, the creation of sketches and models is an essential step by which we must pass to expose to the client the different creative and graphic tracks. It is an important step in the process of creation and one should not hesitate to be force of proposal and to explain his vision of things, as well as, to explain his conceptual or creative choices sometimes futile to see useless for the customer, but brings a real added value to his project. Finally, the customer makes me return with what he likes, what he does not like so that he can move on to the realization of his project. 7) Which graphic artists inspire you the most? This is a difficult question ! 😁 I do not have one specific artist in particular that inspires me. I follow many artists and graphic artists little or not known on Instagram. I spend a lot of time browsing Pinterest and Behance [creative social networks] looking for inspiration and original creations. 8) What would you recommend to someone looking for a designer online ? I would tell them to stop looking, I’m here! 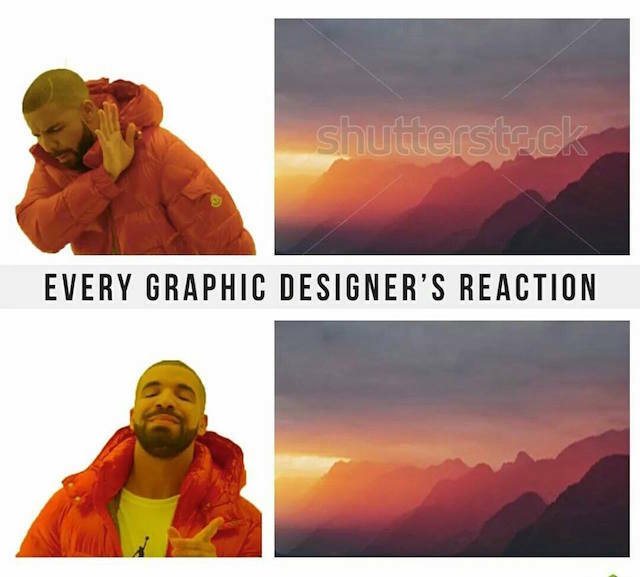 😏 More seriously, I would just advise them to look carefully at the books of the different designers in order to best match the needs of the company and the conceptual, ergonomic and graphic skills of the designer. 9) Last question, your favorite entrepreneur or artist and why? My favorite entrepreneur is Steve Jobs because he started from scratch and built an empire. He is an eccentric visionary for his time. He started with new ideas and a certain desire to create revolutionary technologies. A journey that was not always simple, but gives hope to any enterprising person facing issues. Hiring pre-graduate from all over the world is a strong asset that any company could take advantage of. Unilance wants to put the knowledge of all the talented and serious students, at the disposal of companies. Every single person has his own talent, whether it is due to a multilingual or strong financial background, every hard working student can participate in the success of a company. How could the Blockchain disrupt the Investment Banking industry? © 2017 Unilance | Tous droits réservés.Unilance connects you with world’s top students for freelance missions. With Unilance, it’s not about the cheapest freelance, but the best one you can afford. © 2017 Unilance | Tous droits réservés. Unilance connects you with world’s top students for freelance missions.